Last Friday, January 30, oil prices jumped 8% on signs of a potential slowing in U.S. production—something that could help stabilize the currently weak supply/demand picture. Specifically, investors focused on the U.S. rig count, or the number of the country’s rigs currently looking for oil, which dropped by 94 last week—its sharpest drop since 1987. The rig count is now down by 383 from its peak of 1,609 back in October. In short, we believe the beginnings of a recovery are now in place with the production impact from the lower rig count expected later this year, which should help balance the oil market. At this point, the market is by no means sure of this eventuality. After continuing to rise on the following Monday and Tuesday, oil reversed course on Wednesday following another record-high storage-build in the U.S. as production has yet to begin declining and inventories continue to grow. 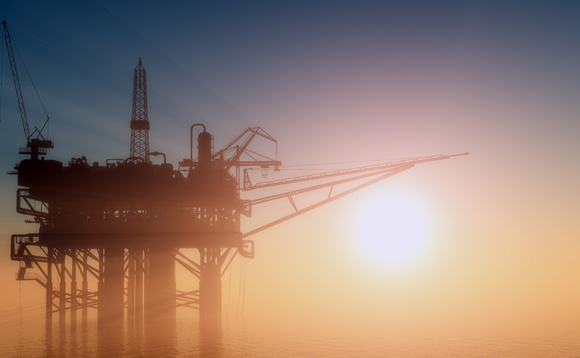 However, on Thursday, oil prices rallied once again, perhaps looking ahead to the release of Friday’s rig count report, which could again show a large drop from the prior week. As the volatility continues, it appears the market is currently torn between focusing on the buildup of current crude inventories and production growth, which are lagging indicators (driven by capital decisions made earlier, at higher oil prices) and the falling rig count (due to lower prices), which is forward looking. In our view, inventories are likely to build for the next several months. However, we believe the market will likely eventually focus more on the potential for falling production (rather than building inventories) as more incremental rigs are dropped. In the interim, we expect volatility to continue but believe the supply-side correction is underway. Finding the bottom is an ongoing process, and the volatility is real. At the same time, we view the initial positive reaction to last week’s rig count drop as encouraging, especially given the “perfect storm” that contributed to the roughly 50% decline in oil prices through late January. Last summer, oil was supported by geopolitical fears and a steady stream of unplanned supply outages (Libya, Iran) that offset non-OPEC production increases, particularly on the part of North American shale. However, a perceived easing of tensions (Russia/Ukraine, Iraq) reduced oil’s “fear premium” while Libya’s major reintroduction of supply caught investors by surprise, refocusing the market on fundamentals. Strong non-OPEC supply growth and the return of the Libyan barrels collided with the weak global economic picture, which prompted the International Energy Agency (IEA) to sharply reduce its demand growth estimates for 2014 (-50%) and 2015 (-20%). Historically, OPEC might have stepped in to trim production, but in this case decided to do nothing. Instead, it may have wanted to give the world an economic boost while avoiding the task of balancing the oil market by itself—especially given that incremental growth of oil supply had been coming from North America (not OPEC). While OPEC’s true intentions are likely to be debated for years, the lack of action introduced a new wrinkle to the oil landscape: It became up to North American shale (with the shortest cycle business, and thus the greatest ability to curb production quickly, behind OPEC), to bring the market back to equilibrium. However, such an adjustment will take time, something that was reflected as prices fell to levels unpredicted by many investors—despite the limited degree to which the market was then oversupplied (some 1.5 million barrels per day by our estimate). Looking ahead, the rig count decline is an encouraging—if preliminary—sign of improving fundamentals. In our view, the number of rigs should continue to fall, declining by another 200-400 this year. Meanwhile, as mentioned, oil inventories should build for several months before production (which lags rig count reductions) finally slows in the second half of 2015. To a significant extent, recovery depends on other inputs, as well, particularly the health of the global economy relative to oil demand forecasts and the possibility of additional, currently offline supply returning to market—from Iran, for example, if current negotiations translate into an easing of sanctions. Finally, as this is the first unconventional shale oil slowdown in history, the resilience of the shale plays is an unknown, as companies may attempt to drill only their best acreage and potentially curtail costs from efficiency gains. What would recovery look like? • V-shaped: Such a sharp rebound occurred in 2008 and 2009, driven primarily by demand growth. At the time, shale was far less of a presence than today. This scenario seems less likely to us, as it relies on a disruptive geopolitical event or a faster slowdown in shale production than the market currently anticipates. • U-shaped: This is the consensus view and assumes that North American shale cutbacks can balance the market by the second half of 2015 or the first half of 2016 while lower prices drive an increase in demand. We note that this assumes continued healthy global oil demand forecasts. • A swoosh: This recovery would be characterized by a steady, accelerating rebound in prices, driven by supply cutbacks coupled with a cyclical decline in service costs to producers (as oil service companies look to retain business) and a permanent reduction in marginal shale costs driven by increased efficiencies. The latter would require that the industry prove resilient at a lower pricing band than previously thought possible. As we move forward, the absence of a Saudi “floor” on oil prices potentially means a wider trading range and shorter market cycles, depending on the resiliency of U.S. shale. Overall, we anticipate a lower pricing band than experienced in the recent past, driven by a combination of secular and cyclical service cost declines and efficiency gains by the oil producers leading to a medium-term, mid-cycle band roughly in the $65-$85 per barrel range, which compares to the current down-cycle pricing band we are in today in the roughly $40-$65 range. This is in contrast to the $80-$100 mid-cycle range that many in the market expected six months ago. From an investment and security selection standpoint, we continue to favour a focus on low-cost, exploration and production companies, with an emphasis on those operating in the highest quality basins, with strong balance sheets, capable management teams and strong hedging programs. Mid-stream companies continue to appear attractive given their limited vulnerability to commodity price swings, while gas-levered E&P companies have appeal despite potential for some weather-driven gas price weakness in the first half of this year. In contrast, we are cautious on oil services and offshore drilling, which we believe represent oil at the high-end of the cost curve. Overall, we believe the oil market is in the process of rebalancing, and that the result will be higher prices down the road, but it will take some time for the natural transition of production growth reduction and concurrent demand improvement to unfold. In addition, the health of the global economy remains a risk to the recovery, particularly in oil-exporting countries and parts of Europe and Asia.